As many of you know, Grace and I have spent the last half year exploring Mexico and Southeast Asia together. We plan to keep traveling the world for some years to come as we have been lately – spending a month or several in one place, and then moving on. Being a nomad is fun and other people want to do it too. We’re able to do this because we’ve done a lot of lifestyle planning followed by a lot of work. This makes us unique but not super-people… not Superman and Superwoman. Whatever. Anyway, I keep on running into people on the road who are awed and wowed by what we can do and I thought I’d lay it out here so that people can know and understand how we did what we did so that someday, someone will write me and tell me that they made it too, they changed their life/ lives, and now they’re living their own dream. Also, this gives me a place to point people to. So, how do I make money on the road? 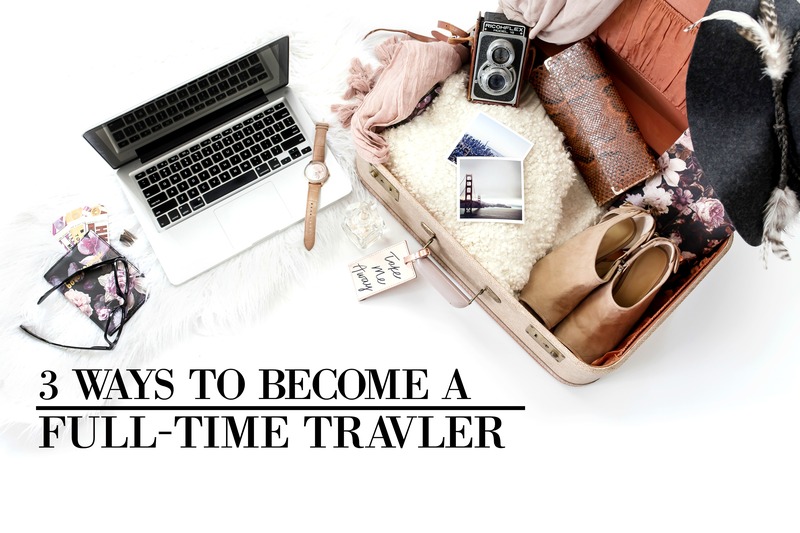 In order to become a nomad or perpetual traveler you need one of three things. You need a location independent source of income, passive income, or to be independently wealthy. For those unfamiliar with these terms, you need cash that can happen no matter where you happen to be, cash that can happen no matter what you’re doing, or so much cash that you don’t need to work. Let’s take the first one. Location independent income for a lot of people isn’t as hard as it sounds. Do you work on a computer all day? Then you could ask to work remotely. If they say yes then you would continue to work your regular 9-5, but from Bali, Bangkok, Baltimore, Belize, or Barcelona. The possibilities are endless. The worst thing that could happen is that they say no. If this happens and you still want to be a nomad, you could switch companies. Now if this is not viable at the moment, work to develop the skills and resumé needed to switch companies, specifically hunting for ones that will let you work remotely. Once you’ve landed that gig you can keep working your job – but step outside your door and enjoy Hawaii, Havana, Hong Kong, Hvar, Helsinki, or the Himalayas on nights and weekends. We built our blog so we could work from anywhere with an Internet connection. We had the first one down. One alternative route to location-independence is to have a skill set that is desired everywhere. Some people teach English, others can get short term contracts (3 months or more at a time) in hospitals as nurses. Location independent income does not have to be internet-based, per se, it’s simply the most common and the one that we ourselves are most familiar with. Research career options suitable for your skill sets or the skill sets you’re developing and go from there. Let’s explore your second money option for becoming a nomad: set up a stream or streams of passive income. Like we said earlier, passive income is when your cash happens no matter what you’re doing. There are lots of ways of doing this – it could involve having a portfolio of dividend yielding stocks, real estate managed by someone else, build an internet business that makes you money while you sleep own a membership site, perhaps you could start a business that is run by your employees, outsourced or automated 4 Hour Workweek style and you just collect checks. All these have some things in common – they have the potential to be partially or fully passive and they require an enormous amount of investment up front in the form of time or money. There are different levels of passive income. Some things require you to check in once or twice a day, week, month, or more to make sure everything’s running smoothly. Others are hands off, completely and purely passive income. Don’t dismiss something that might play into your skill sets as not passive just because you need to check in on them. Build your business around you and your skills. Now, this is all well and good you might say, but I don’t know how I should set up these streams of income. And you know what? I don’t know how you should either. It depends on your skills, your passions, your desires, and other things. In my opinion there’s no better way to be successful than to learn from people who are already successful and imitate them. That’s how we came up with much of our plan. Since I didn’t have access to personally pick the brains of entrepreneurs back-to-back-to-back on my schedule when I was searching for a business plan, I literally just binged shows that did. I’d recommend trying out Pat Flynn’s Smart Passive Income or Nick Loper’s Side Hustle Show. I’ll be compiling a list of places for inspiration and ideas in the coming weeks so keep on checking in. Our blog provides us with a semi-passive form of income. We keep earning even when we take a day off but we still work a lot. We can also work and produce posts for weeks ahead of time if we want or need to. This way we can spend a couple of weeks in the US with family and not feel bad that we’re not releasing something for you guys. This also enables us to readjust to different locations and time zones and explore them while having something from our reserve. Option three, become independently wealthy. People with independent wealth don’t need to work. The most common ones you know are retirees but some young people do it too. We haven’t figured this one out yet. I’d say your best bet is to work harder, work smarter, and work more than everybody else around you. Provide more value at whatever it is you’re doing than everybody else. Also, don’t compare yourself to other people around you who say that they’re working hard. Compare yourself to your goal and how much you want it. If other people are your barometer for how hard you should be working on your goals then you’re doing it wrong. Most normal people are well… normal and they’re going to get normal results. That’s nothing against them, especially if they want to be normal. It’s just most people will be going to Bali only for a week or so on vacation… and if you’ve read this far then you’re not that person. I think I’ll write a post about this someday; it’s so important to not compare yourself to others. Keep checking in. So, how much money do I need to make on the road? How much money do you need to become a nomad? The answer to that one is a definite…well, actually it depends on several factors. Mainly where do you want to live, how do you want to live, and how often do you want to move. Let’s tackle where you want to go first. You need to figure out where exactly you’d like to go. Next, adjust your income goals to meet those expectations. If you want to spend time in Oslo, Copenhagen, Paris and Tokyo then you’re going to need a lot more coin than if you’re aiming for Chiang Mai, Bangkok, New Delhi, or Queretaro. There are tools for comparing prices for common goods like Numbeo. I also used podcasts when I was sizing up how much money I needed for a couple to live and live well in Southeast Asia. Be wary of travel interviews where people brag about how they’re able to travel so cheaply – make sure you listen to them closely and understand how they’re traveling. Yes, he may be able to backpack Thailand that cheap by roughing it for three months before he goes back to his day job. But you’re going to be living on the road long-term – roughing it backpacker-style month after month may sound glamorous but you may find that you like having air conditioning, toilets, internet and water that work reliably. If you get too good of a bargain in certain parts of the world you may get more than you bargained for. I’d say to always be over-generous with your estimates of how much it costs to live somewhere; unexpected costs do come up. And if you overestimate and have too much money, you can always save it, have a nice date night with your wife, or give extra generous alms on the street. It might also be that you budget your time and money across countries with different costs of living. So you might spend nine months in Southeast Asia and then spend three months in Europe. That’s okay too, this is your lifestyle – you get to design it. Also remember – you don’t have to achieve this all at once. In fact, I personally think it’s good to set tiered goals for where you can afford to live. Our first goal was to be able to afford the cost of living in Southeast Asia. After we became confident we could make more than that, our next goal was to be able to afford to live in any city, anywhere. If your first goal is to be able to afford to live and be well-off in Paris, Copenhagen, Los Angeles – you’re probably going to get frustrated and give up. Another realistic question you need to ask yourself is how often do you want to move? If spending a month in each city or less is appealing to you then that’s fine, but the best deals are in staying for at least a month, in our experience. Also, keeping the cities you visit bunched together and close is generally a good thing. If you visit countries or cities that are nearby each other, then it can save you lots of money moving from one city to the next. If you’re an entrepreneur, then saving you money is also saving you time as well. Another thing you really need to do is stash cash. I was listening to a speaker our first week after leaving America and he made the remark “Cash is courage,” and I was awestruck by how true it was in my life. We lived very humbly before setting out to explore and as a result we had enough money that if there were sudden unexpected bumps with our income or we needed to head home because there was an emergency, we were covered. No matter what you’re up to, make sure you have your emergency fund in place. This will make sure that if there are any bumps with your income stream, you’re not broke, stranded, and/or hemorrhaging cash in Europe or some exotic but no longer fun location in Asia, Latin America, or wherever. In conclusion, the best piece of advice I can give you is to start today. I talk to people all the time who say they want to do what we’re doing. I get excited for them and check in several weeks or several months later and they haven’t made any progress. They haven’t made time for their dream. It really doesn’t matter if it could take a while – if you’re going to keep living anyway you might as well pass the time getting closer to your dream. Here at CF we really appreciate your thoughts and feedback. Be sure to let us know what you thought of the post in the comments and anything else you’d like for us to write about. We’re so glad to be able to help, Danielle. You give some awesome advice! What an amazing life you have. I can’t wait to travel more! Thanks so much, Sarah. We’re glad we can inspire you.